This is a pretty bouncy song and colorful opening, which I guess goes pretty well with the show. I like it anyway. Safu returns to No. 6 after her grandmother’s death, but things immediately don’t seem right to her. She tries to contact Shion but is told he’s been de-registered due the murder charge against him, which she doesn’t believe in a second. She goes to visit Shion’s mother to find out where Shion is. Safu then decides to go to Shion but is arrested en route. So right off the bat in this episode we get some additional evidence that No. 6 isn’t quite like the other cities. First, Safu’s prohibited, for some reason, from bringing a book about Picasso into the city. Why exactly is that? One wouldn’t think there wasn’t much objectionable about it at all, unless the city thinks the subject matter might create an image of humanity that isn’t ideal, which we have seen evidence of before. Also, it’s suggested that no one in the other cities wear the identification bracelets. Safu is clearly uneasy about being in No. 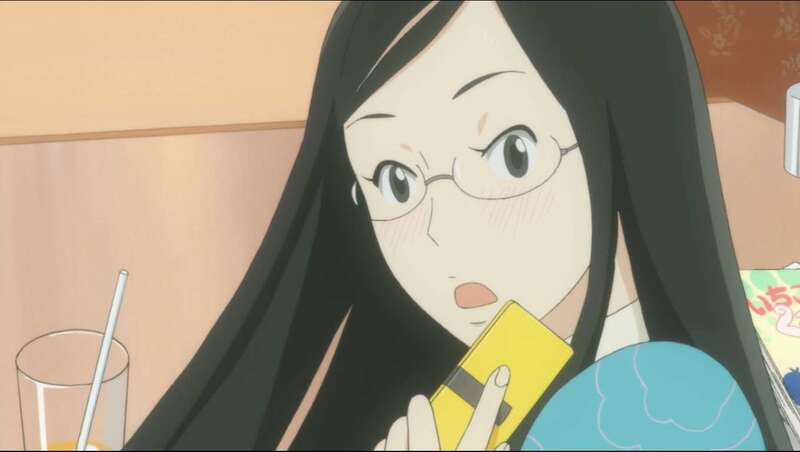 6 from the start, but she becomes increasingly alarmed when she gets her grandmother’s personal items back, when the other knitting stick isn’t included and the scarf is free of her grandmother’s scent, and then again when her bracelet tells her that Shion is suspected of murder. I think the question here now is: why did the police arrest Safu? Was her grandmother’s death all a ploy to get her back to No. 6? Or was she arrested for trying to contact Shion? Or did they eavesdrop on her conversation with Shion’s mother and arrest her for daring to question the city (clearly No. 6 is willing to go to great length to silence people who may dare criticize them, even in private). It seems increasingly likely that her mother didn’t die the peaceful death that was described, which is kind of what I suspected last episode. We actually don’t see much of Shion and Nezumi this time, but Nezumi is still warning Shion to give up on No. 6 while Shion, even while realizing that there is something wrong with No. 6, doesn’t think everyone living there should have to pay the price for it. Nezumi derides his idea of “tearing down the walls” as a fantasy, but he clearly seems to have made him think. Nezumi still refuses to tell Shion why he hates No. 6, and he clearly wants Shion to serve some purpose eventually. I suspect he’ll either eventually tell Shion about Safu, or he’ll find out some other way. It’s time for Rin to start elementary school, which she attends with Kouki. To commemorate this, Rin and Daikichi plant a loquat tree outside their house after Daikichi tells her about he and his sister getting trees when they were born. That makes them wonder if Souichi planted a tree for Rin. Daikichi asks Masako and sure enough, he did. When Daikichi finds it, it’s a fragrant olive tree, just as his tree is. It's time for that most awful of awfuls..that most terrifying of terrors! SCHOOL! So Rin starts elementary school, but we don’t really see any interactions at the school, at least yet. However, we get to see more Kouki and his friendship with Rin. And of course he acts like a typical boy and Rin has the typical female frustrations about it. 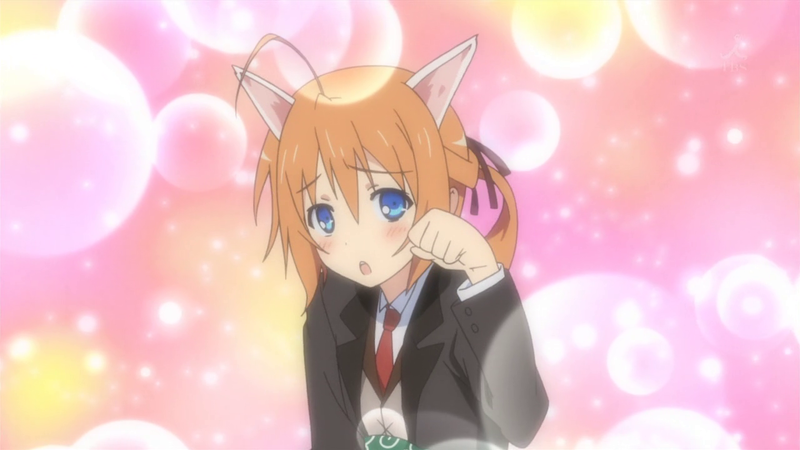 This episode kind had more to do with the idea of Rin growing up. She and Daikichi talked about the planting of trees and growing up with the tree and so forth. However, Rin seemed to get depressed over the fact that she didn’t know whether she had a tree from birth, which upset Daikichi as well, because he hated bringing up the topic and then seeing Rin get down because of it. And this, of course, led to another merry meeting between Daikichi and Masako. Otherwise, there really wasn’t much going on. I expect we’ll see Rin’s and Kouki’s friendship grow (and we may end up seeing them get into some trouble eventually, thanks to Kouki), and hopefully we’ll see some of her interactions at school as well. The Iga and Fuma both decide to gather the five books of forbidden techniques from the five villages. Iga wants them to find a way to transfer the Shinrabanshou from Miharu to someone else while the Fuma want them to find a way to eliminate the Shinrabanshou altogether. Meanwhile, Yoite wants to use Miharu for his own purposes. So Yoite basically implants a part of his ki into Miharu and his friends, so that whenever he dies, they’ll all die too, in order to blackmail Miharu into learning how to use the The Shinrabanshou and grant his wish (which is to have never been born). Somehow by the end of the series, I have a feeling that Yoite will change his mind about his wish, and Miharu will probably find somewhat to save him from his fate from using the Kira. Meanwhile, I’m growing increasingly suspicious of Kotarou, as his methods seem pretty ruthless and we don’t seem to know much about them still. I wouldn’t be shocked if he intends to use the five books to try to get the Shinrabanshou himself, and perhaps even already knows that there is no way to eliminate it. Of course, doing that would put Raimei in the difficult position of either betraying Miharu or betraying her village. 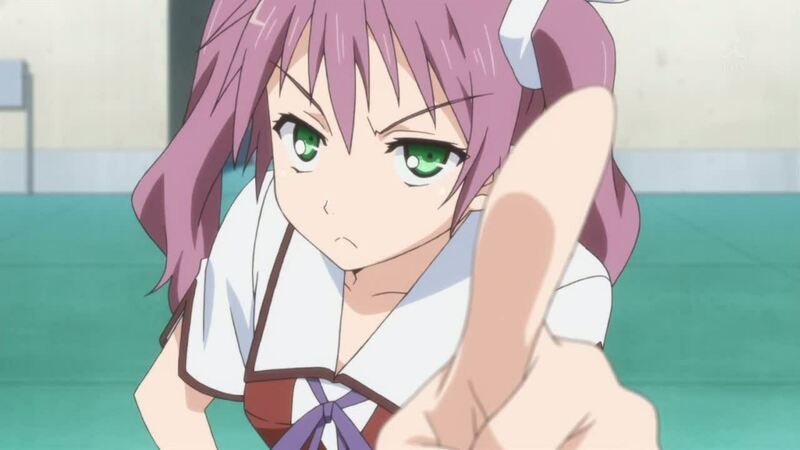 Next on my list of “previously aired anime that I’m just now watching” list (I need to come up with a more succinct name for that) is Nabari no Ou. This has kind of always been on my to-watch list but I had never gotten around to actually watching it (obviously). I have pretty high expectations for this series, so I hope they’ll be met. So from what I can tell so far, Miharu has this thing inside him called the Shinrabanshou which, unleashed, would basically allow him to do anything. It’s also apparently corrupting enough to take over his personality, though it hasn’t yet. 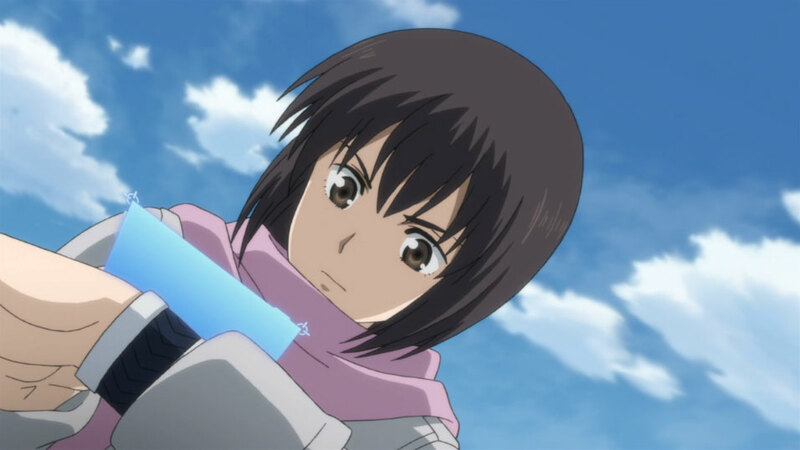 Along for the ride we have Kouichi, who can manipulate the wind, Raimei, who is a samurai and doesn’t seem to use shinobi powers, and Tobari, who is the oldest, most powerful, and most knowledgeable of all of them, and also appears to have been present when Miharu used his powers when he was little. As for writing style and acting, this has been a pretty good show so far. 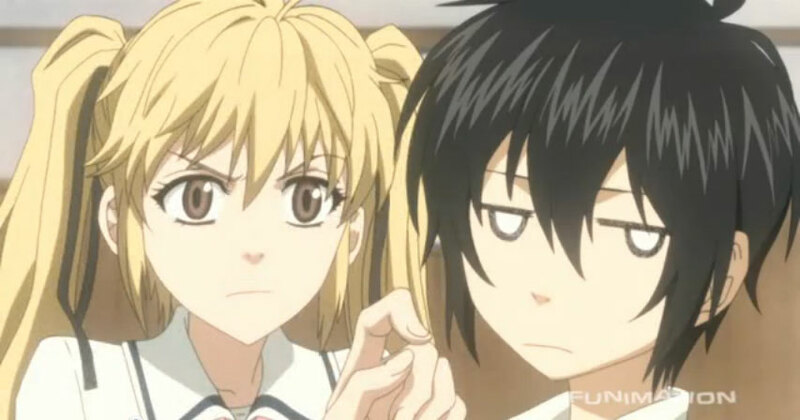 It can be a bit quirky, but in a good way, and Miharu’s sarcasm and mischievousness I can definitely give a thumbs-up to. The being attacked my enemies thing is OK for now, though hopefully they’ll do more than sit around and be attacked for the whole series. Kinjiro gets run over by a girl, Usami, on his way to school, and ends up getting attacked because he was too stupid to tell her that the thing he wanted between her legs were his lost glasses (and then again after she recognizes him as Subaru’s friend). Subaru asks Kinjiro out to the school festival, but Usami has other ideas. So we have a new character introduced, with Usami. However, despite her claims of wanting to date Kinjiro due to wanting to dishearten S4’s enemies, it seems to me that she’s just lonely. She says she doesn’t have any friends, and doesn’t seem to have a great home life, and so she’s using the current situation as a reason to seek companionship. 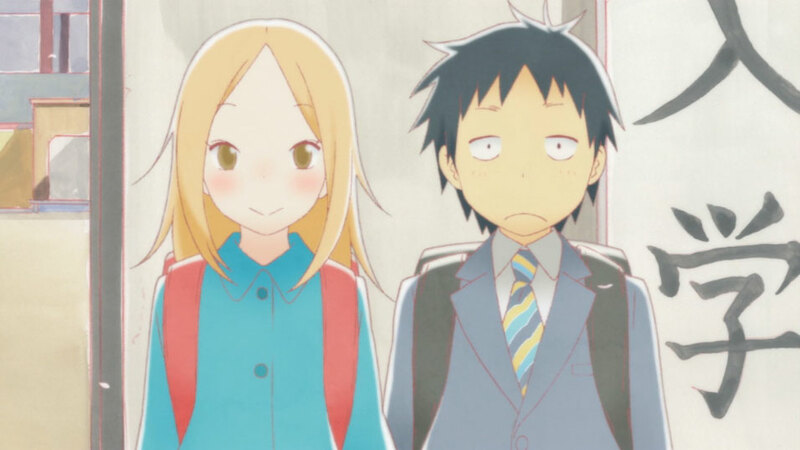 Of course, that could cause problems for Kinjiro if she’s still wanting to date him after the school festival is over. If Kinjiro were smart, he’d tell Subaru the situation, but I’m not sure if he’s that smart, or if he’ll get the chance since I’m guessing most of his free time will be taken up either by school festival prep or with hanging out with Usami. In any case, despite the initial impression, Usami doesn’t appear to be all that bad of a character right now to me. It’s nice to have an episode with minimal Kanade interference, though there were a few cliches thrown in, such as Kinjiro falling into the dressing room while Usami was changing or his classes ending up in Usami’s lap, and instead of just saying so, he beats around the bush by saying he wants something from “down there” and thus sounding all perverted. But all in all I think this episode was an improvement over the last two. It advanced the story in a different direction which has the potential to be interesting and entertaining. I do find it funny that, in many shows like this, the main male lead is the one who gathers the harem, but in this case, it’s Subaru, the reverse-trap, who is unwittingly gathering the harem. I just kind of find that funny. Subaru arrives on Kinjiro’s doorstop at the start of golden week wearing cats ears and tail after being kicked out of the mansion. Soon Kanade shows up and challenges Subaru to a Butler vs. Maid battle, but this is stopped short when Kinjiro gets a cold. We soon learn why Kanade is there: Subaru and her father have been kicked out for fighting with each other until they make up. This is the 2nd sorta mediocre episode in a row, and I’m afraid that this show may be falling into a rut. We get some additional interesting background information, such as Kureha having a thing where she’s afraid Kinjiro might die when he gets sick (which I guess stems from how their father died) which is somewhat reflected in Subaru due to a similar thing happening to her mother. I like the characters. I think Subaru and Kinjiro are both being developed pretty well. I just think the writing and episode ideas over the past couple of episodes have been lacking. So a series of events leads to Kanade telling Kinjiro’s sister, Kureha, that she is dating Kinjiro and invites her out on a “double date” to a waterpark along with Subaru with them. At one point, Kinjiro and Subaru see a child drowning and go rescue it, only to find that while they were doing this, Kanade and Kureha are being held hostage at knifepoint. We learn Subaru is terribly frightened of blades, so Kinjiro knocks Subaru out to go rescue them himself, which fails abysmally until Subaru wakes and and saves the day. They then find out the whole thing was set up by Kanade and Subaru’s father in order to help Subaru get over her knife-phobia. This was a so-so episode I guess. It was interesting to get a little more back story on Subaru, including her knife-phobia and all, and we get to meet her father, who doesn’t like Kinjiro much for groping Subaru in the first episode. Otherwise, this was largely a beach/waterpark episode which gave them an excuse to have the voluptuous Kanade and loli Kureha in bikinis (but alas, not Subaru) for most of the episode. Otherwise, I guess we get a bit more bonding between Subaru and Kinjiro, more jealous rage from Kureha, and more devious scheming from Kanada but that’s about it. Not a bad episode, but not a fabulous one either. Another person in No. 6 falls victim to the bees. Shion goes to tell Nezumi, who is performing in Hamlet at the time (as Ophelia). However, a sudden gust of wind blows, and he falls unconscious. Simultaneously, in No. 5, a similar thing happens to Safu. So this was basically a “let’s dump some more mystery into the series” episode. We had the bees before, which we at least somewhat knew what was going on (if not why), but now we have this wind thing that knocked both Nezumi AND Safu unconscious. 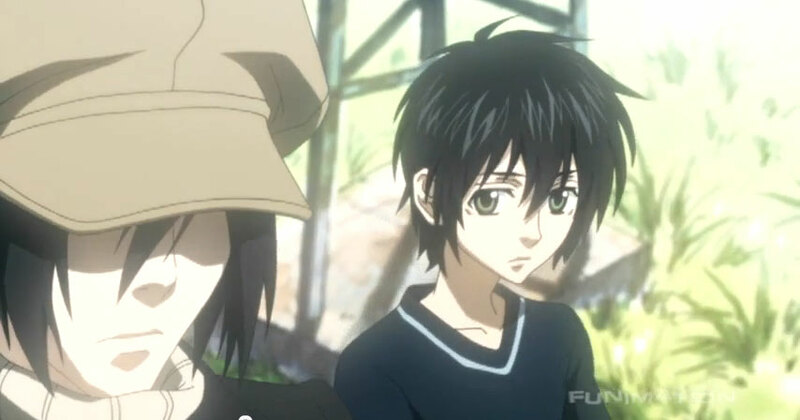 The only link between the two of them would seem to be Shion, but I’m not sure either how he could cause such a thing or how whatever did cause it would know he had both connections. 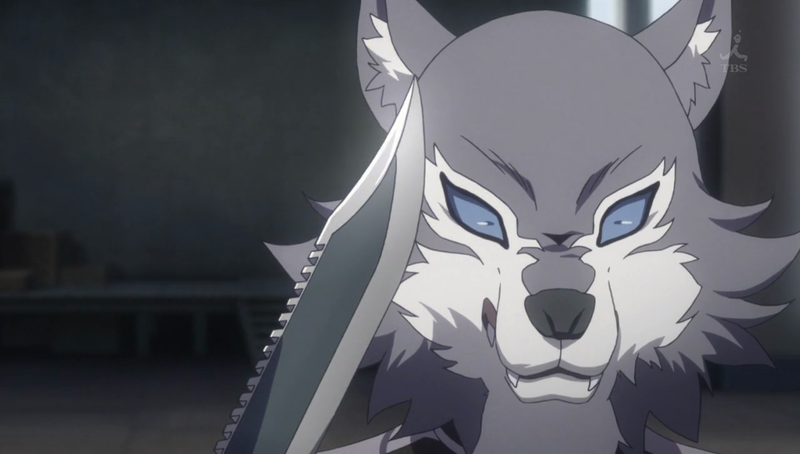 Meanwhile, Safu appeared to at least be aware that Nezumi was there (and what his name was – perhaps from Shion calling out to him, though how she could hear that, I have no idea), but Nezumi didn’t seem to know she was there. Speaking of Safu, it seems to be strongly indicated that her grandmother has died back in No. 6, which given her seemingly good health before, seems somewhat suspicious. Then we have the bees in the stained glass window in No. 5. Does that mean that the bees were some infestation from No. 5’s past that No. 6 is now suffering? Or maybe it’s some sort of covert attack on No. 6 by No. 5. Whatever it is, No. 6 sure is going to great lengths from keeping whatever is going on from becoming public knowledge. As far as Shion’s and Nezumi’s…relationship. It sure seems to be going down that path, doesn’t it? 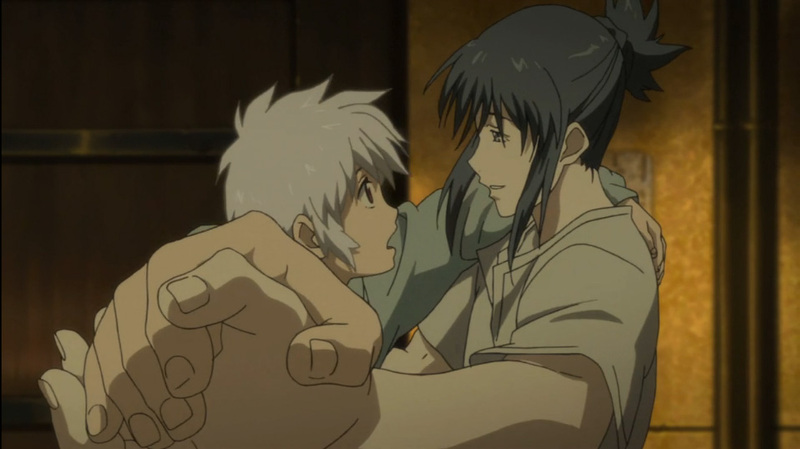 Shion seems to have pretty strong feelings for Nezumi, and Shion caught Nezumi completely off guard in this episode. As I think I said after the last episode, Safu may find that Shion has already given his sperm to someone else lol. Daikichi arranges to meet Rin’s mother Masako. She ends up being a pretty young manga author who basically left Rin with Souichi in order to continue her career, and as a result, their meeting goes a little rough. Daikichi thinks about adopting Rin, but Rin objects, saying “Daikichi shold stay Daikichi.” Rin also graduates from nursery school. So we finally meet Masako, who seems to be somewhat torn between keeping up her job as a manga writer and caring for Rin, though Daikichi is still clearly not happy with her for choosing her job over her own daughter, probably especially so because he was willing to get transfered at work in order to better take care of Rin. I found it interesting that Masako and Daikichi’s mother both thought Rin wouldn’t have a problem changing her name, but Rin was the opposite: she thought having her father’s last name was important for her identity. Rin seems pretty mature and able to take things in stride, though she obviously still has normal worries that someone her age might have too. Daikichi is still rather confused about how she views him, however. He takes care of her like her father but their relationship seems to be somehow different from that too. The nursery school graduation was full of more DAWWWW as I guess was to be expected. I still think Daikichi and Kouki’s mother should get together, but I somehow don’t think that’s going to happen. Up next (or at least soon) it seems like it will be time for Rin to start elementary school, which I”m sure will be yet another adventure for her.